Article by How Merchant Accounts Work. Without retail, would the POS system be where it is today? One could argue that it was, in fact, McDonalds that elevated the POS industry and increased demand. McDonalds invested heavily in technology during the 70s and 80s to try and help consumers and servers get orders more accurate. It’s true, however, that retail has traditionally dominated the POS over time. 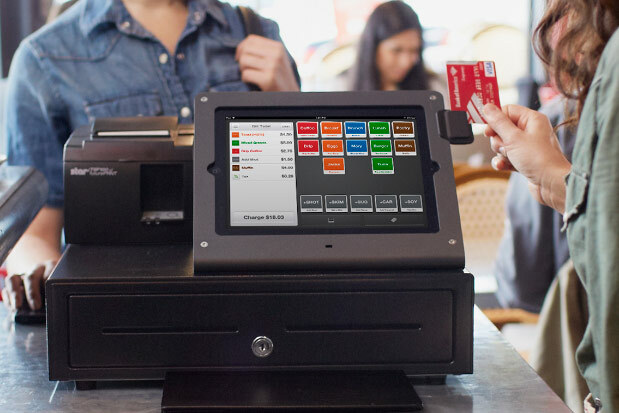 Most retail POS systems include the cash register, a printer to print the customer’s receipt, a monitor for the cashier to work with, a cash drawer, and a barcode scanner of some form or another. Older systems include a keyboard, with others including a mouse. Even some newer systems that use desktop computers as the base utilize these peripherals. Some newer systems utilize touchscreen technology, which can make it easier for clerks to find proper codes for items the customer wants. Newer POS systems are also equipped to handle loyalty programs, which have increased significantly in popularity over time. Loyal customers now expect some form of discount. POS systems have also given retailers the opportunity to plan special sales, using functions to pre-sell items at a discounted price. Older POS systems relied on a mainframe computer to manage operations, with strict limits on how many terminals could be used in the system at once. In fact, early IBM systems had a limit of 128. Today’s POS can handle a lot more than just the sale itself. Computers in the back office now manage inventory and help to control purchasing. Without a properly integrated POS system, modern retail operations could not function at scale.